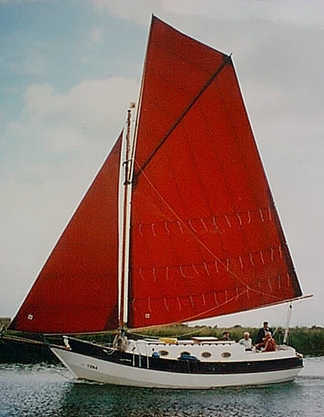 Many owners enjoy a long association with gaff rigged boats while others are attracted to the rig by its beauty and charm are to handle the extra work and maintenance that is a part of living with these rigs. 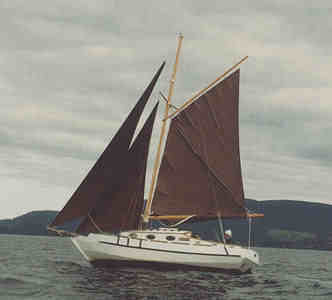 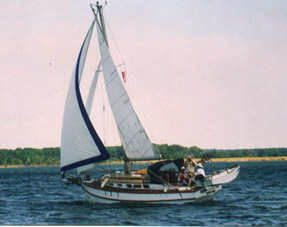 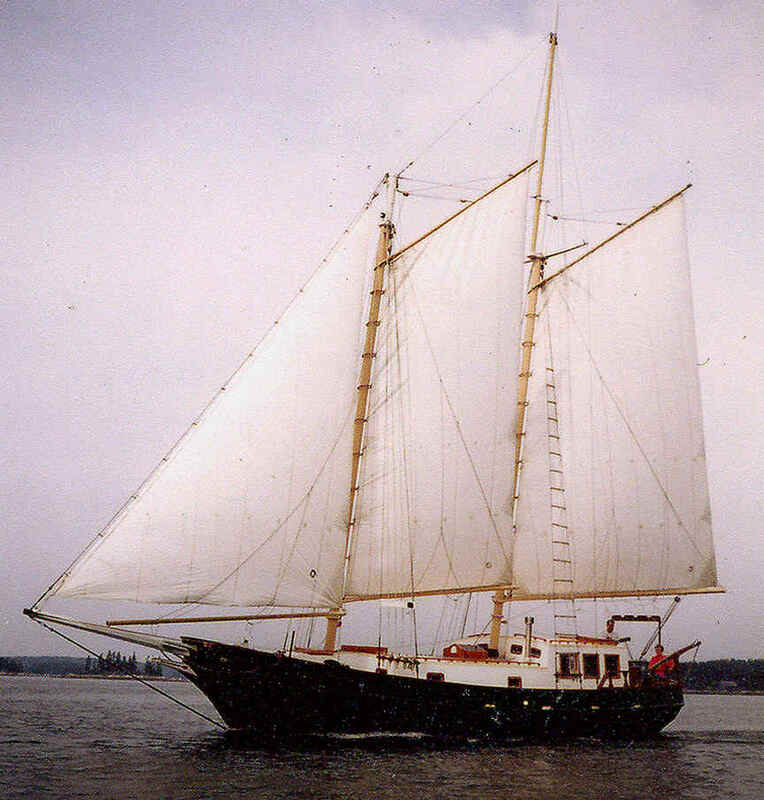 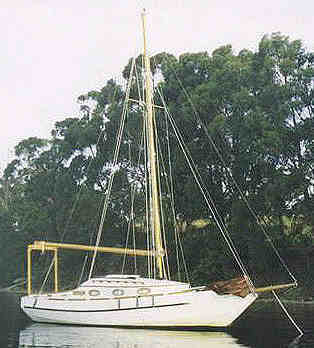 One advantage of the gaff rig is that it can be much less expensive to install than a modern rig and many traditional boats accept the less expensive gear and 'look right.’ The galvanized fittings and natural fibre cordage are in keeping with the overall appearance of the boat; expensive stainless steel fittings could look out of place. 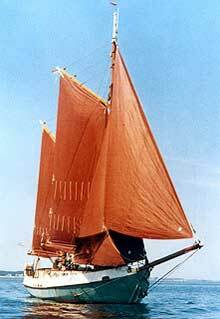 A well designed gaff rig will accept a natural grown timber mast and boom; fortunately there are still places where you can select your own spars from the forest. 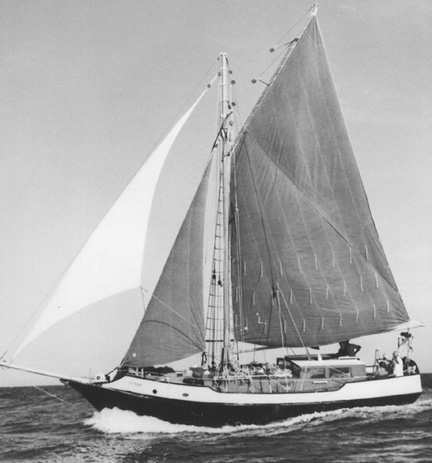 Peggotty This steel Spray 40 has cruised extensively including a trip to Antarctica - See below. 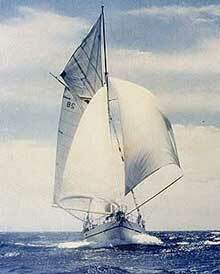 Roberts Spray 55 and Spray 60 S.